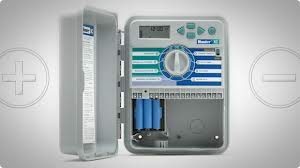 Today’s highly efficient lawn irrigation systems benefit from computerized controllers that enable homeowners to more effectively control how much water their lawns and gardens receive. But the trick is properly programming the controller to match the seasonal needs of your lawn. Summertime, of course, is different than the spring – days are longer and drier, causing tender grass shoots to stress and weaken if they don’t receive enough water. At the same time, too much water will create soggy conditions that can encourage rot and other diseases. Part of the art of programming irrigation controllers is understanding soil and weather conditions and how they affect each other – soil composition may not be the same from one neighborhood to the next, so setting the correct watering cycle for your yard may not be the same as your friend’s a street or two away. There is an art and a science to properly watering your lawn. A key element of that is properly programming your irrigation system controller. If you have questions or concerns about how your irrigation system is set, call the irrigation system experts at Mike Lynch Enterprises.